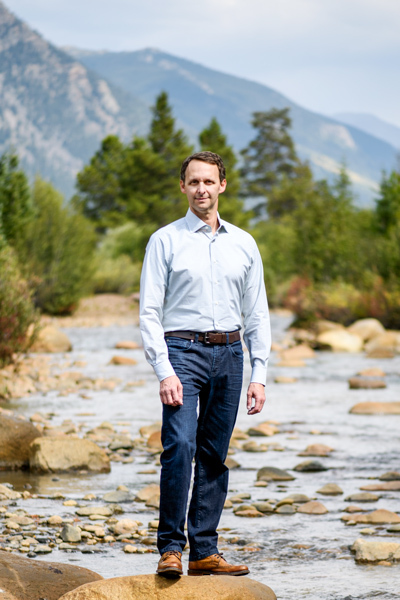 When he arrived at Vail Resorts in 2015, executive vice president and general counsel David Shapiro was new to the travel and hospitality industry, so CEO Robert Katz told him to take his time getting acquainted. Shapiro appreciated the gesture, as he was used to giving his own hires a couple of months to acclimate to a new role. But, a week later, Katz came into his office to gift Shapiro an opportunity and a challenge. “He came in at the end of the day, shut the door, and said, ‘Forget everything I told you on day one. We’re going to do a deal with Whistler Blackcomb,’” Shapiro says with a laugh, referring to the premier ski resort just north of Vancouver, British Columbia. Being green to the ski-resort business, the key to his approach would become surrounding himself with the appropriate subject-matter experts, keeping the team members together, and ensuring that his confidence in them was clear. The acquisition proceeded in four phases, of which agreeing on the broad financial terms of the deal was only the first. The premise of the deal was that the two enterprises could be stronger together. With the aggregate resources of Vail Resorts’ thirteen ski areas spread across several states and Australia, a slow winter in one region wouldn’t necessarily be a crisis; the company could absorb that impact and continue to invest across the organization. Likewise, its consolidated marketing and IT infrastructures would reduce costs and complexity. At the same time, though, the acquisition was not a project of growth alone. “We don’t gobble up resorts just to add more,” Shapiro says. “We ask: how do they complement our network? How do they offer something more, better, different for our guests? Whistler Blackcomb fit in perfectly: unique terrain, an expansive resort, and a tremendous customer base.” One of Vail Resorts’ leading products, the Epic Pass, allows skiers to visit any of its properties; incorporating Whistler Blackcomb into that experience would make the bargain even more enticing. So, after just a few months, in the fall of 2015, Vail Resorts and Whistler Blackcomb were able to reach the major terms of a $1.05 billion deal. “Then, we unleashed the teams of lawyers,” Shapiro says, laughing again. Legal professionals from both organizations come together to grind through copious, complex paperwork. The teams started small and confidential, given that they were working for two publicly traded companies undergoing a large, intricate transaction not yet revealed to the public. At first, the challenge was to apply the limited personnel effectively and cost-efficiently, but over time others became involved, including specialized experts in real estate, Vail Resorts’ environmental practice, and more. In August 2016, Vail Resorts and Whistler Blackcomb went public with the acquisition and spent the next few months collaborating with stakeholders. Shapiro says this was the most challenging leg of the four because the size and complexity of the transaction meant there were a number of parties with unique interests to weigh and satisfy. At the same time, Whistler Blackcomb was renewing its lease for its ski area with the Province of British Columbia, so Vail Resorts had to satisfy the interests of the province as well as those of the Lil’wat and Squamish First Nations peoples. “Whistler is on the traditional lands of these peoples; the lease-renewal process includes working with the First Nations,” Shapiro says. “We wanted to be mindful and sensitive; they’re our partners, and we made certain commitments to them.” By October 2016, having navigated Canadian, British Columbian, and First Nations interests, Vail Resorts had closed the deal. The final stage, from the closing of the 2016/17 ski season to the first day of the 2017/18 season in November, consisted of the integration of the two enterprises. “There’s massive amounts of people, effort, and skill sets involved,” Shapiro explains, referring to the intricacies of marketing, infrastructure, and management. By day one of the new season, a guest needed to be able to recognize both Whistler Blackcomb’s traditional experience and Vail Resorts’ standard of excellence. Shapiro admits he’s still not yet the expert when it comes to the travel and hospitality industry, but he considers his balanced perspective and demanding leadership style to be unique strengths. As the merger moves forward, he aims to continue being the leader who helps other people develop their skills and achieve their career objectives. Meanwhile, Shapiro continues to be thankful to be able to work in the resort sector, fostering exhilarating, memorable outdoor experiences in Colorado, Utah, the Lake Tahoe area, Canada, and beyond. He also takes every opportunity to ski himself, with his wife and two children, enjoying the scenery, the exercise, and time away from the office.